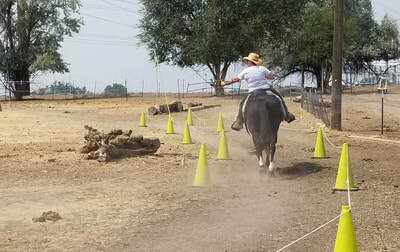 The gradining system is available to MA3 Members! 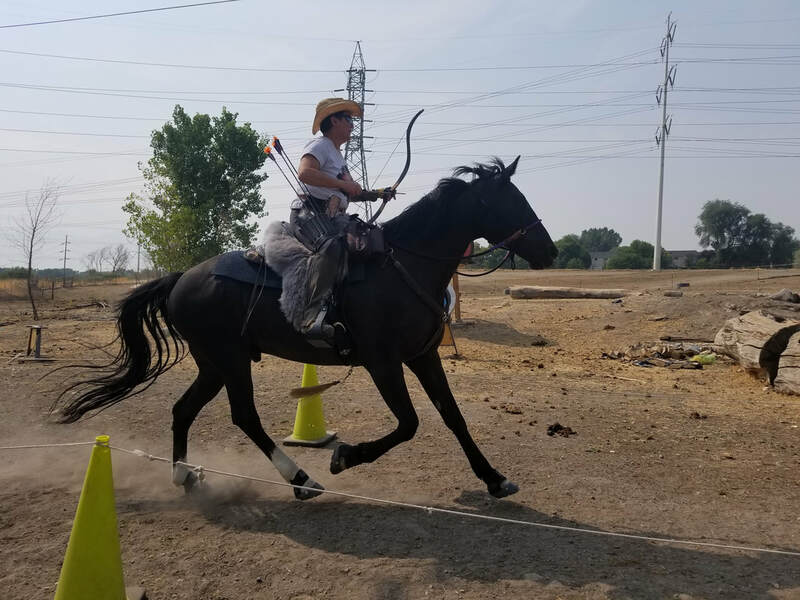 Ma3 members can also participate in the IHAA (International Horse Archery Alliance) grading system at walk, trot and canter. The MA3 & IHAA gradingng systems though similar, are slightly different in courses, speed requirements and there is even a new IHAA grading system just for beginners (walk, trot) that MA3 members can participate in! 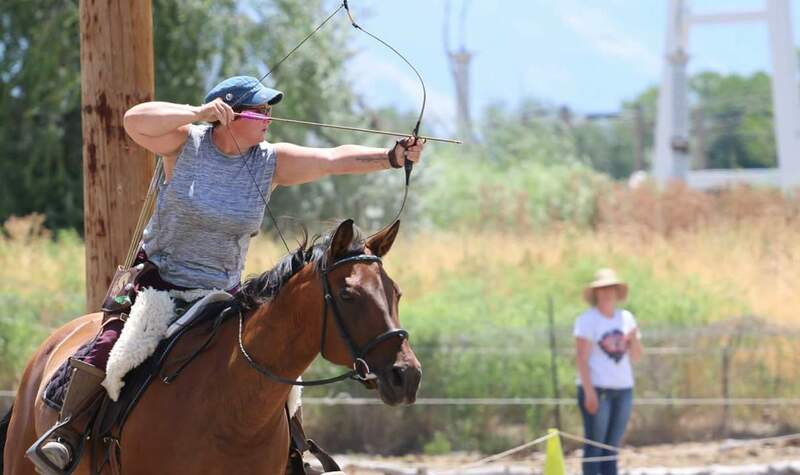 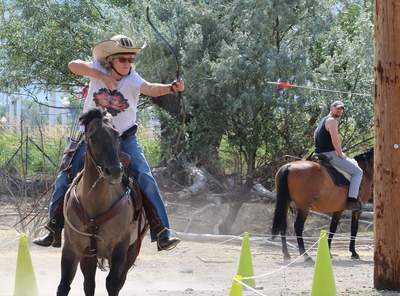 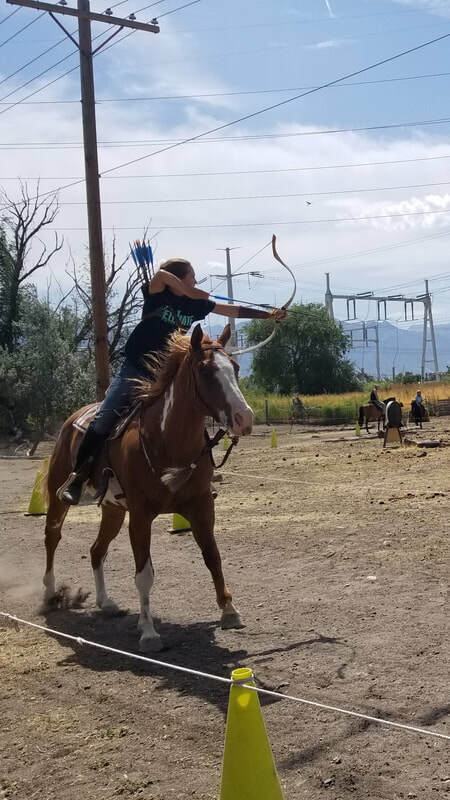 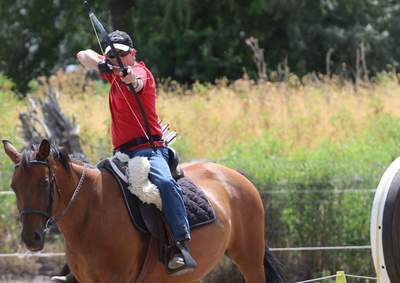 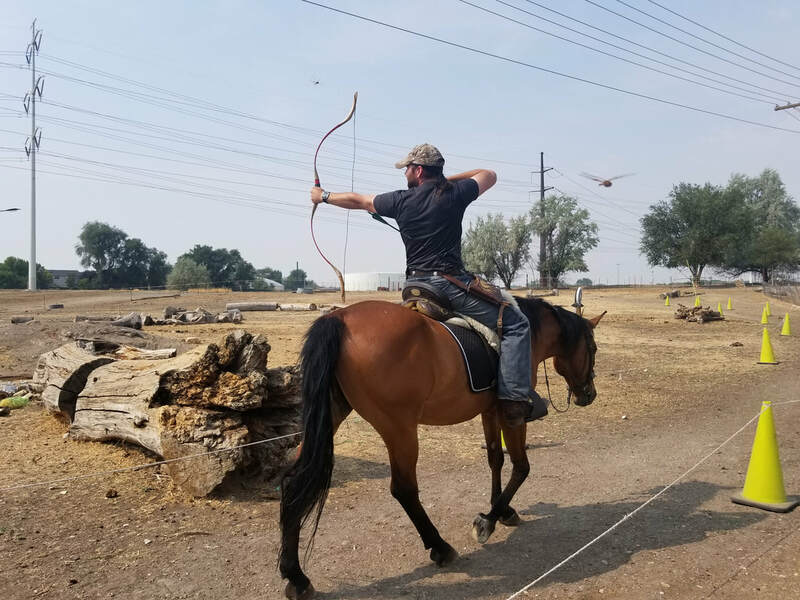 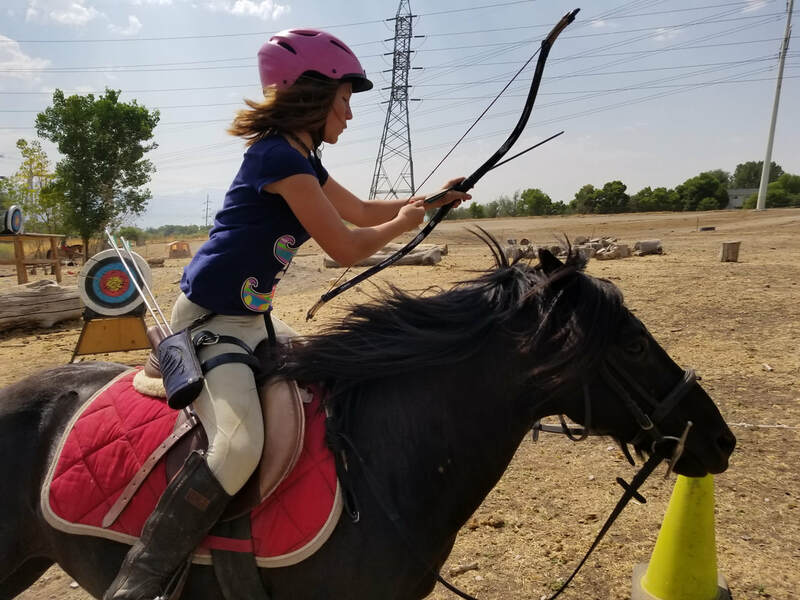 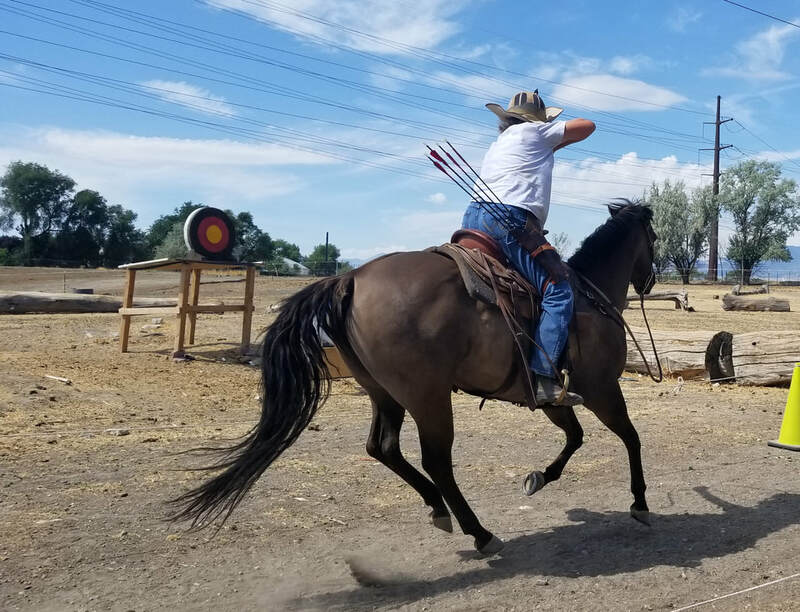 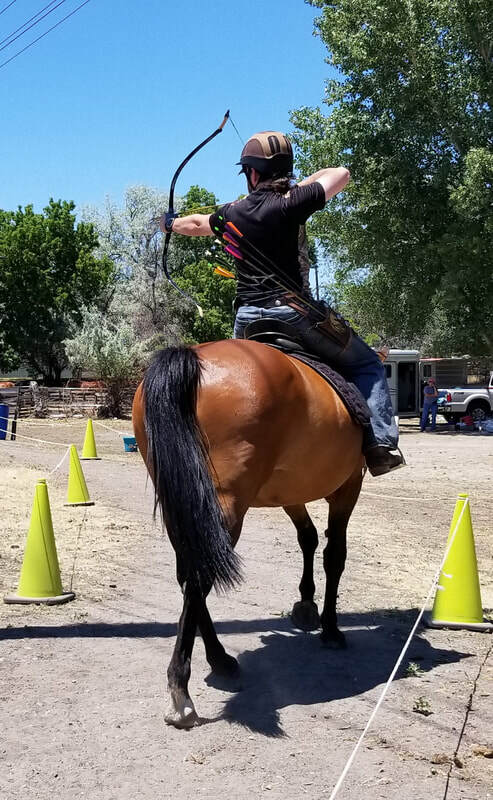 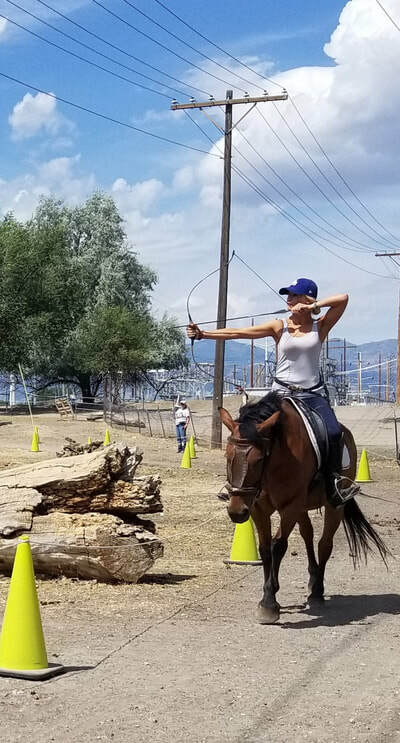 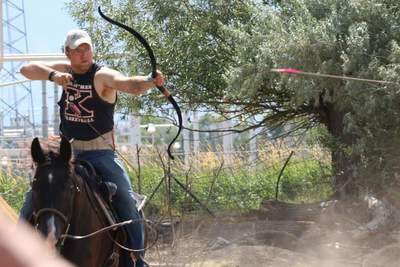 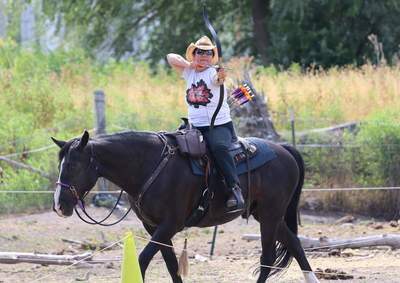 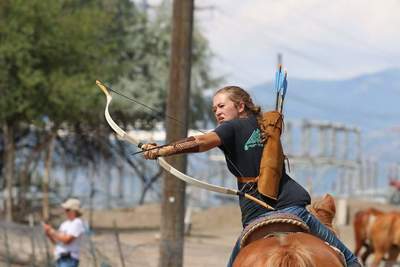 The grading system allows mounted archers to obtain a pin for each level they progress in skill - much like earning belts in karate. 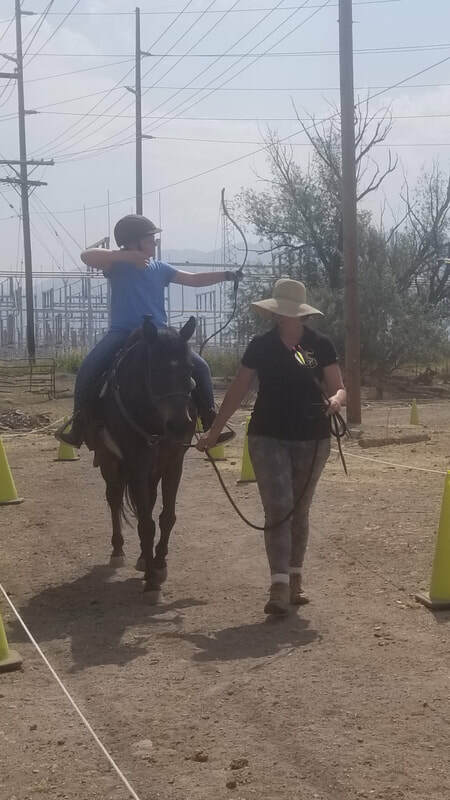 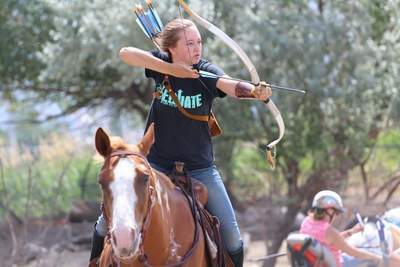 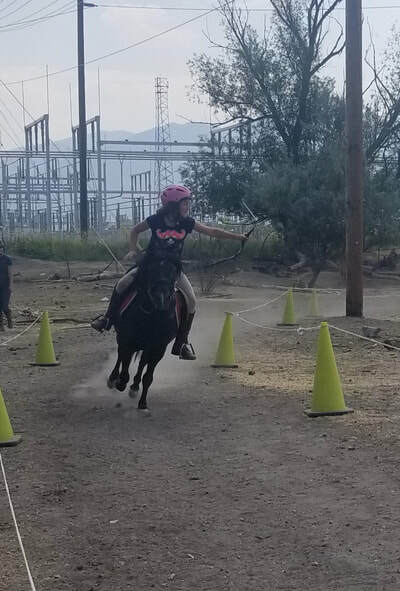 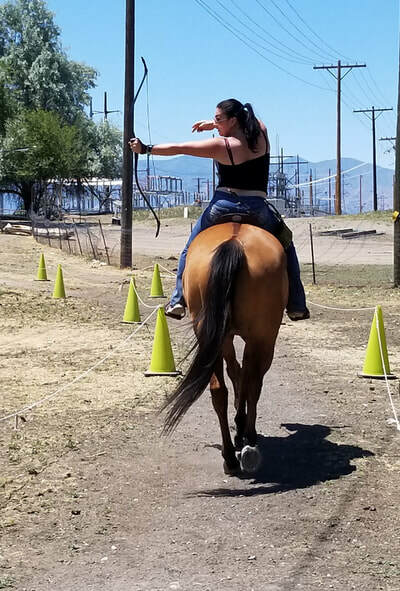 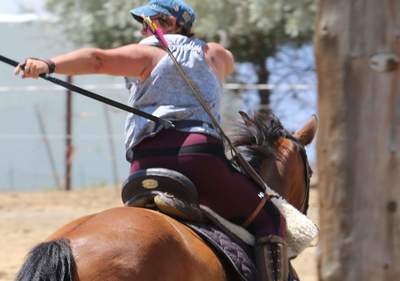 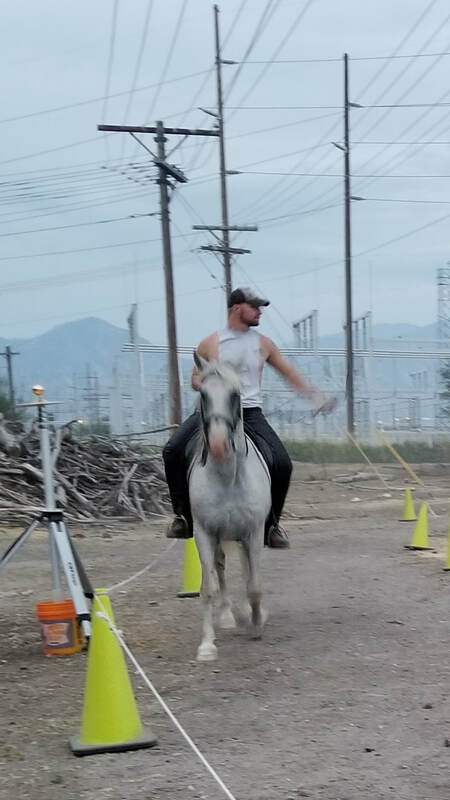 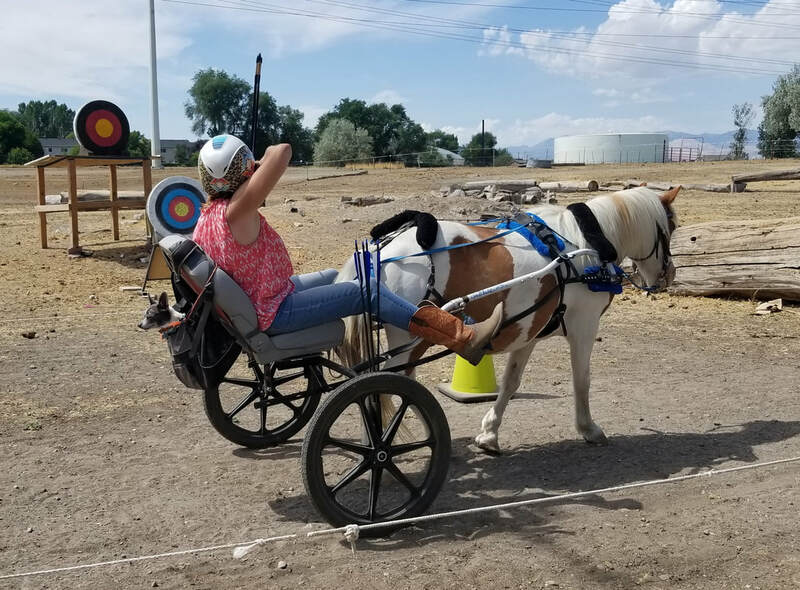 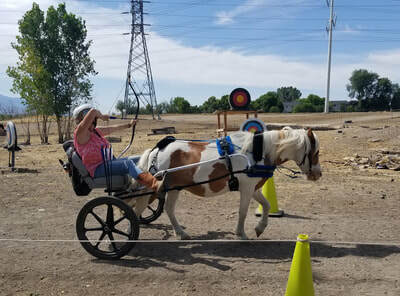 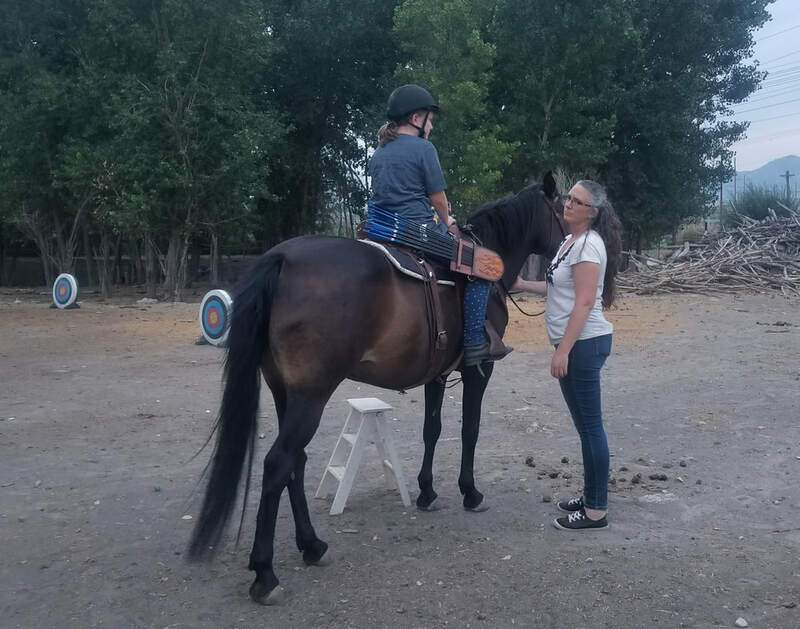 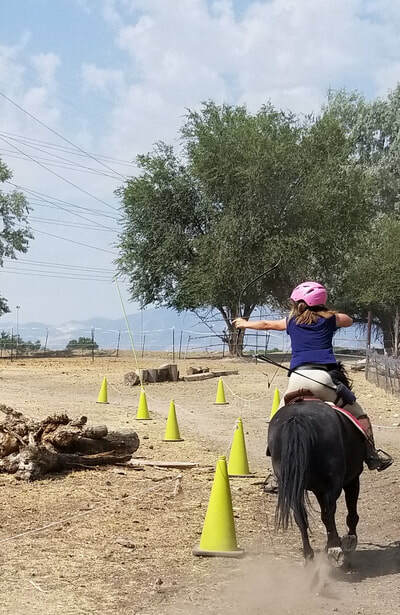 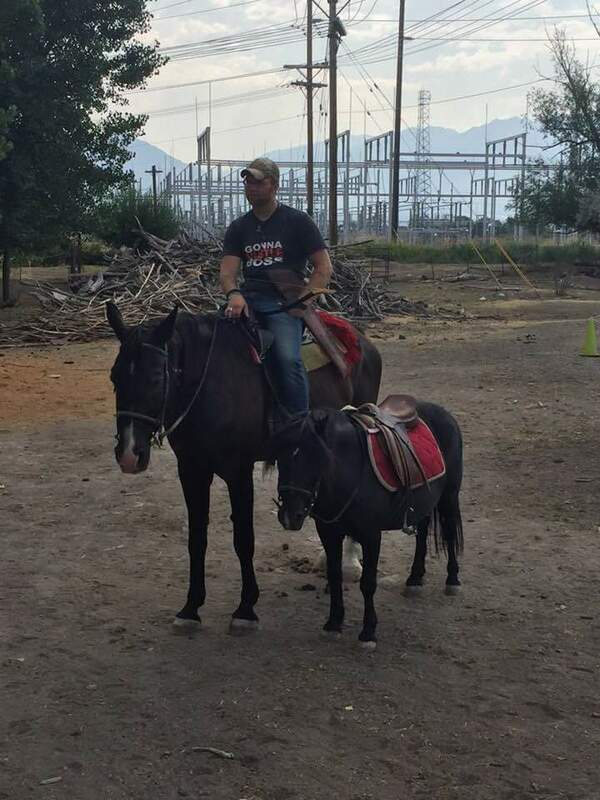 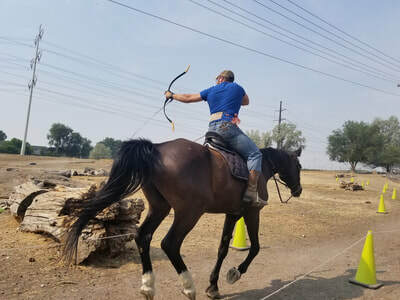 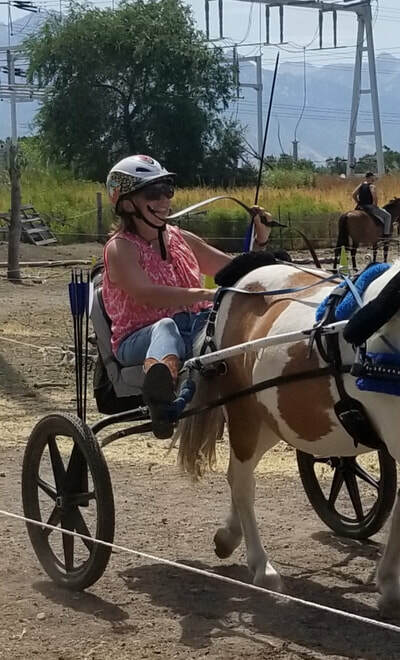 Grading starts with Student levels 1-4 then graduating to Horse Archer levels 1-8 for the MA3 system and walk/trot levels 1-6, student level 1-6 and horse archer 1-8. A grading event consists of a predetermined number of runs on the Korean and Hungarian course and rules must be followed just like in competition. 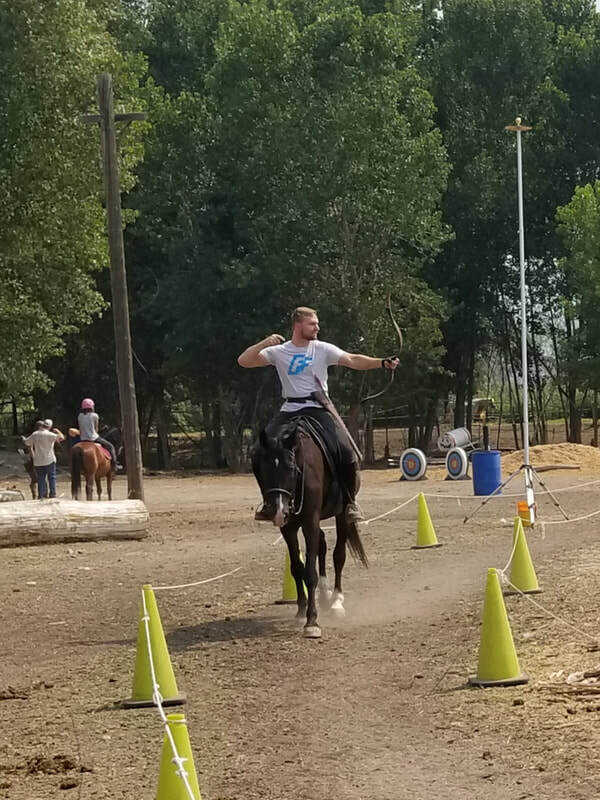 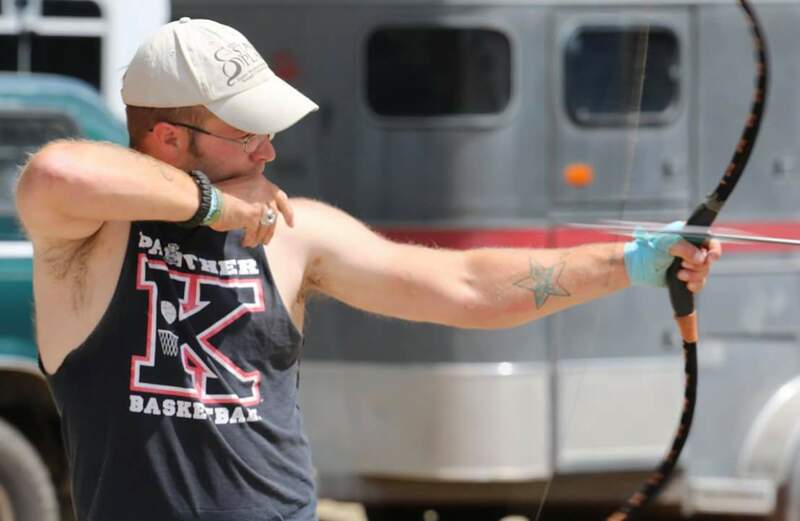 For the MA3 grading, you are timed and collect points for your arrow shots and gain points for your pace or have points deducted for going too slow or too fast on the MA3 ranking courses. You can check out the United States Grading Placings on the MA3 & IHAA websites!